Thursday, March 30, 2017, 6:30 p.m. to 8:30 p.m. Longtime Long Beach feminist activist and former councilwoman Hon. Gerrie Schipske presents an evening of stories about local women workers and their role in World War II. 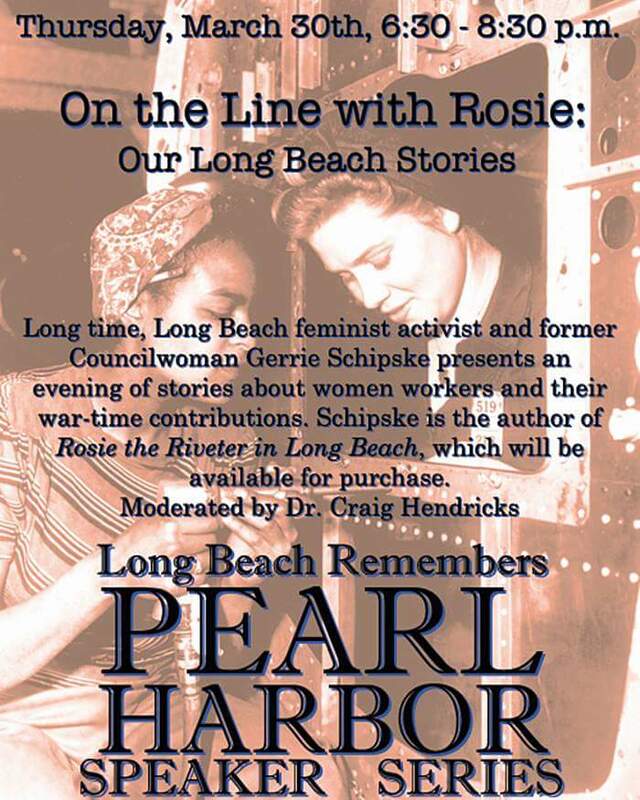 Schipske is the author of Rosie the Riveter in Long Beach, which will be available for purchase. The discussion will be moderated by retired professor of history at LBCC and CSULB, Dr. Craig Hendricks. The discussion expands upon an Historical Society of Long Beach exhibition, Long Beach Remembers Pearl Harbor. The program is free to the public and ADA accessible. Visit http://hslb.org/visit/programs for more details.